Jane Harker Clark has a birthday today. Judy Custer Drook posted a message on Jane Harker's Profile. Jane Harker Clark has a birthday today. New comment added. 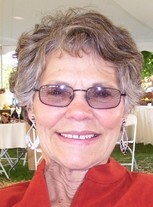 Alberta Brumley Egle posted a message on Jane Harker's Profile. New comment added. Happy Birthday Jane, best wishes for a happy and blessed New Year!! !